SCVHistory.com US31101i | Lang | Refreshments Served at Golden Spike 50th Anniversary Reenactment, 1926. 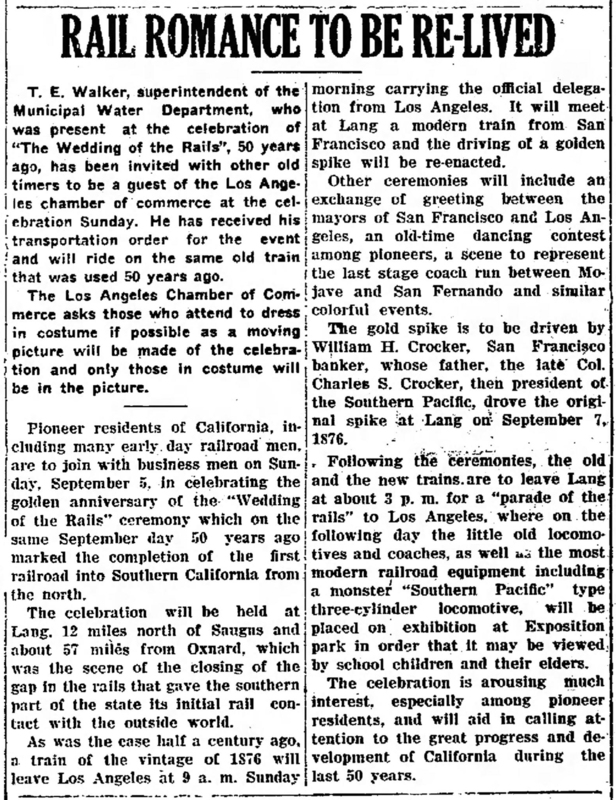 Sept. 5, 1926 — Refreshments are served at the 50th anniversary reenactment of the "wedding of the rails" at Lang. 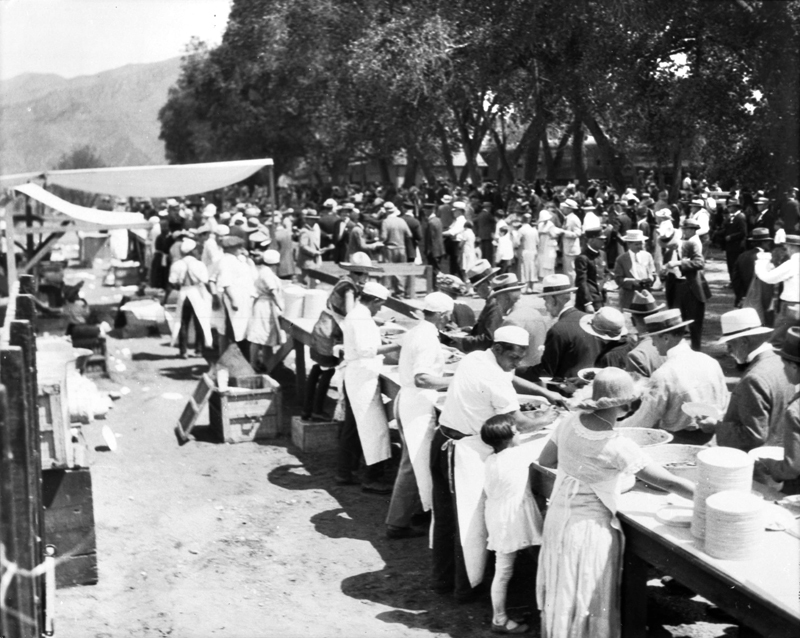 US31101i: 19200 dpi jpeg from online image | California Historical Society Collection (Title Insurance and Trust, and C.C. Pierce Photography Subcollection) in USC Digital Library.